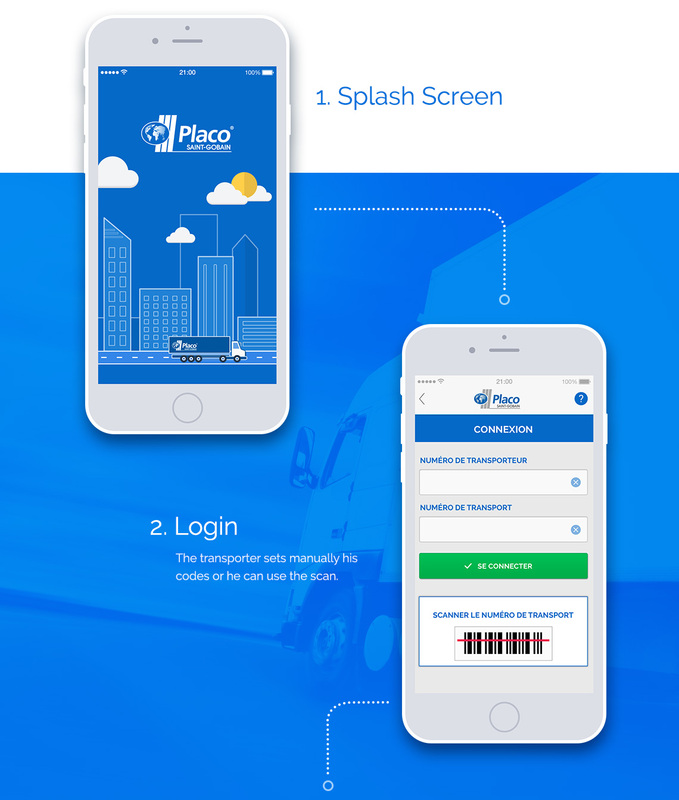 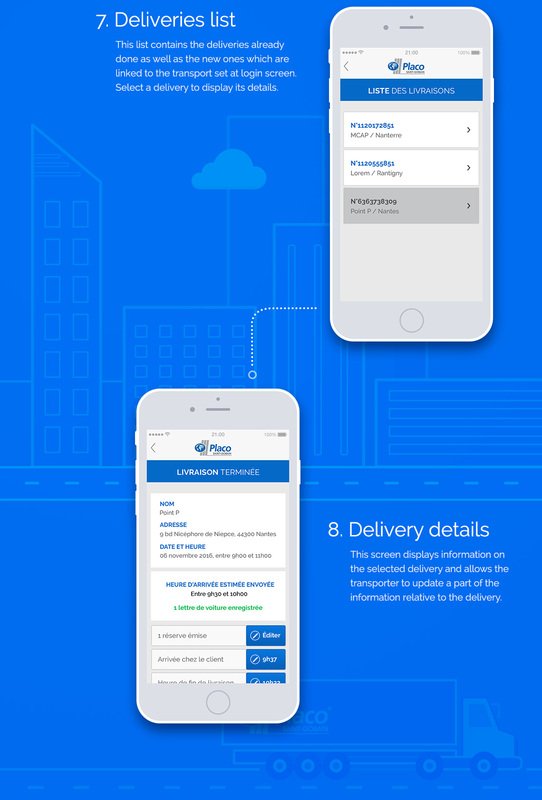 In order to improve customer satisfaction, Placoplatre, a company of the Saint-Gobain Group, offers to its drivers to reinforce their communication via a delivery tracking. 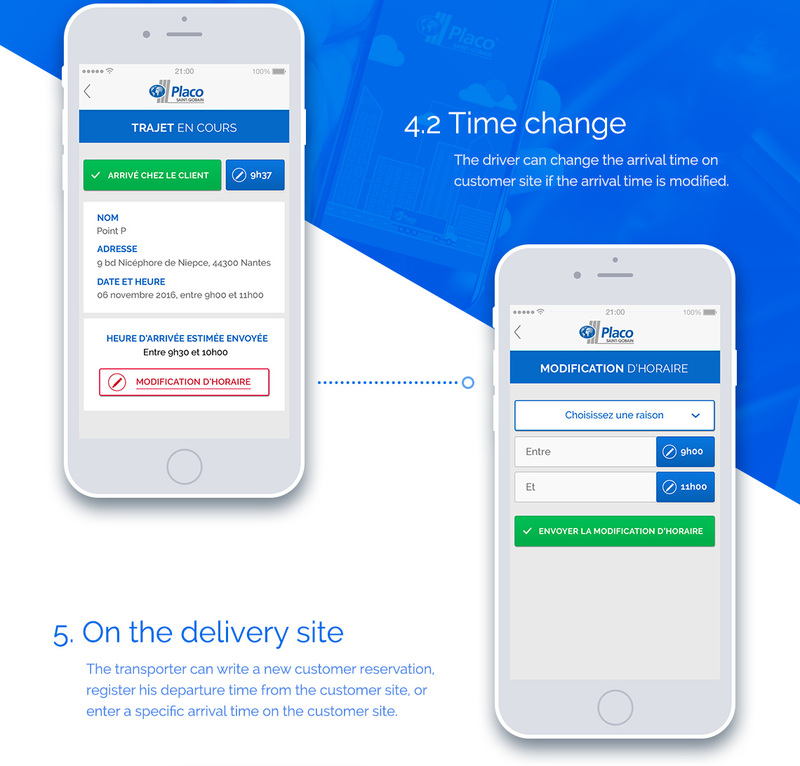 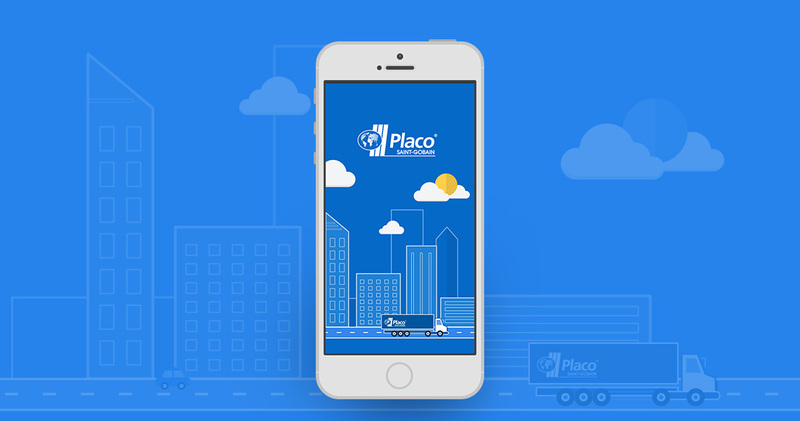 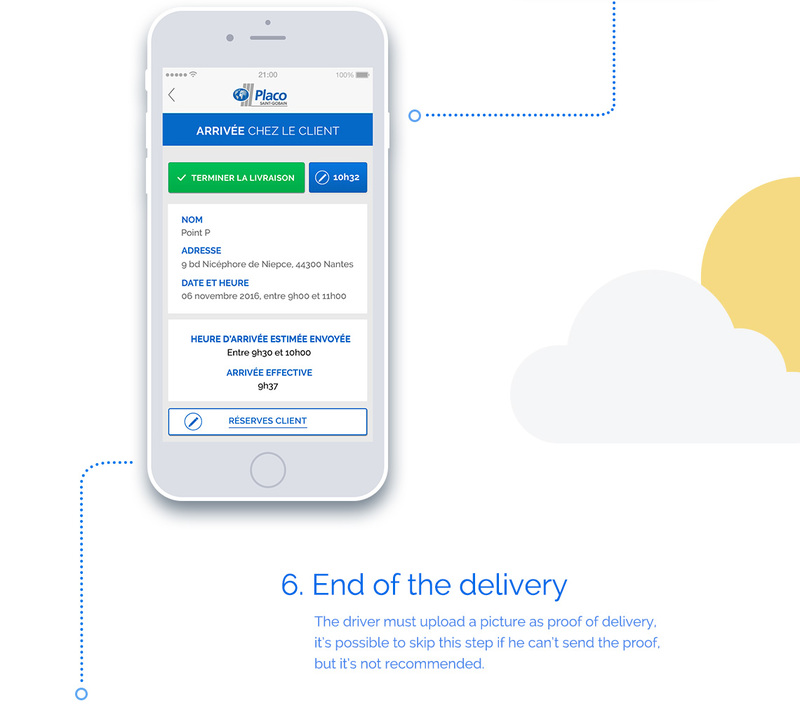 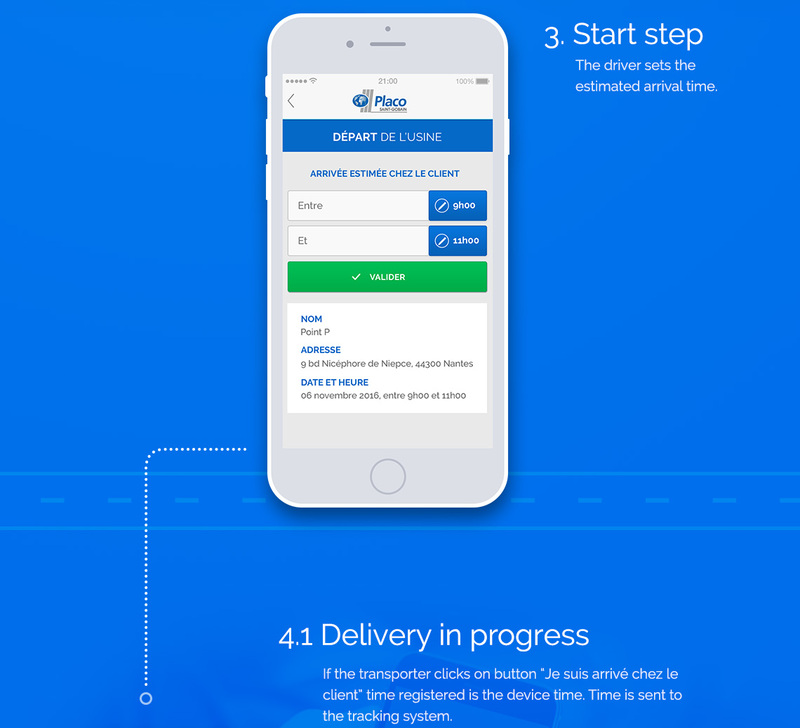 Created exclusively for drivers who deliver Placo® products, this application allows them to send delivery tracking elements in real time to the customer. 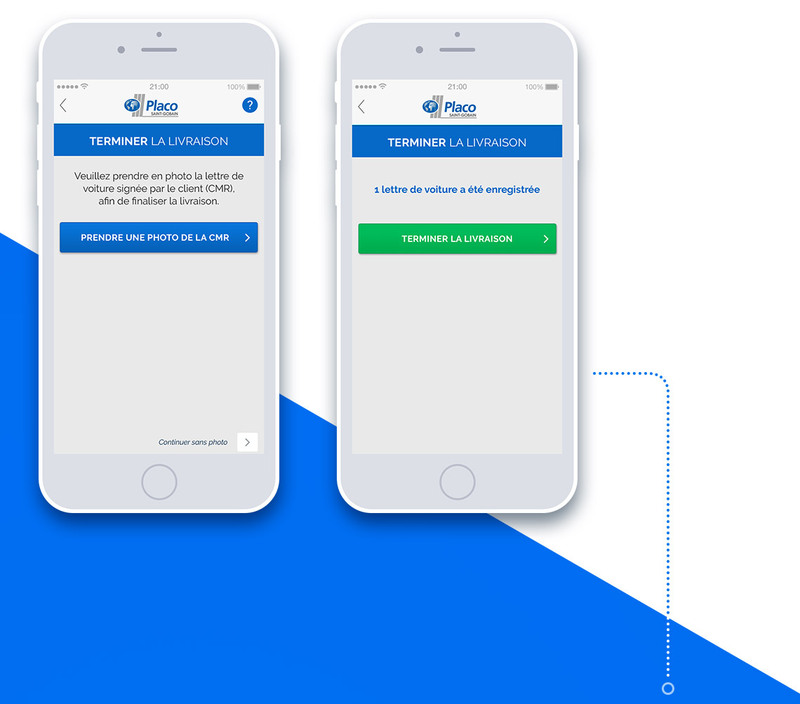 Realization of the UX and UI design of the mobile application, as well as the illustration of the splash screen, respecting the established graphic charter of Placo®.